Hello Everyone. It's time for another Classy Cards N Such Saturday! 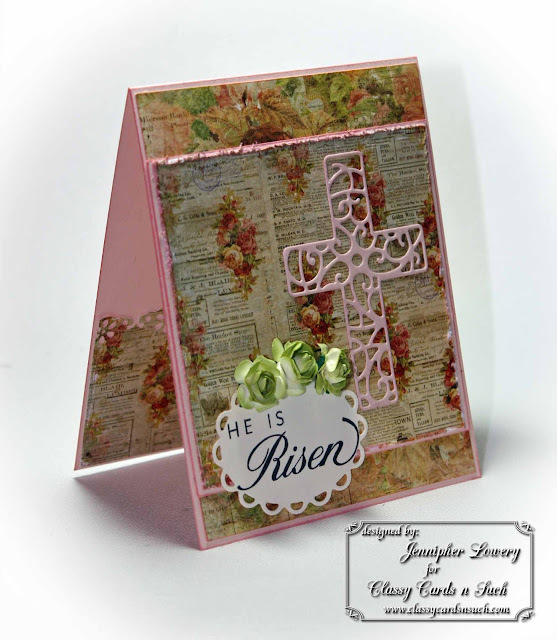 Today I have an Easter card to share with you that I have made with products from the Classy Cards N Such Online Store. 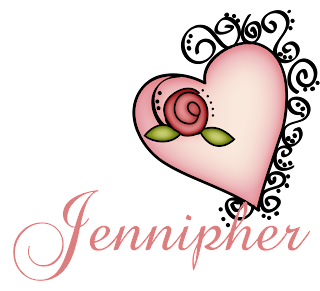 I started with a pale pink card base that measures 4.25"
x 5.5". I just love the vintage florals and prints that are a part of the Romantique Collection by Prima and I knew that would be the basis for my card. I added one piece to the base and another to the small layer that I placed in the middle of the card. I distressed the edges of the paper on the smaller layer and inked all the edges of the layers and card with Spun Sugar Distress Ink. 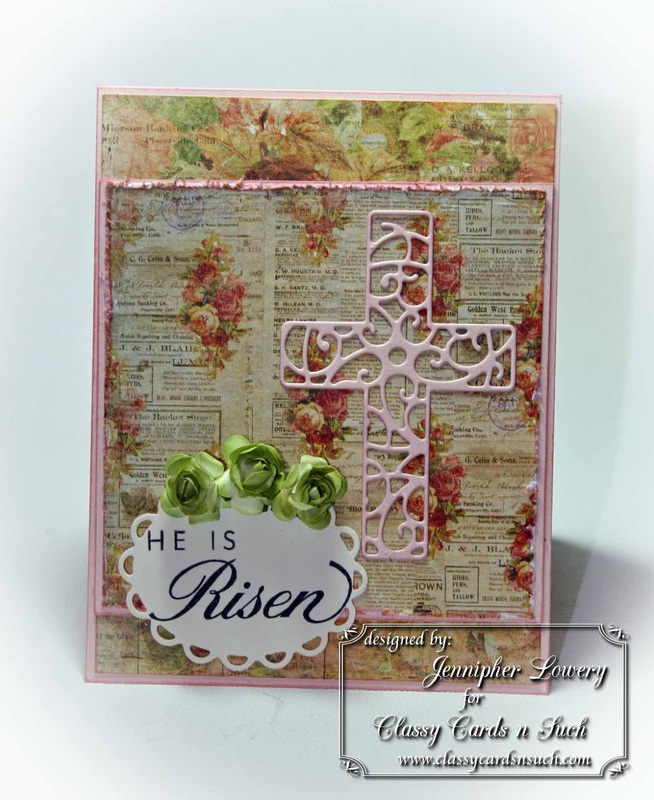 Next, using the pale pink cardstock and the Cross Set by Cheery Lynn Designs, I die-cut a cross to place on the right side. Using Spellbinders Lacey Ovals and vanilla cardstock I die-cut an oval for my sentiment. I wanted the sentiment to really pop so, I added Mini Roses in Soft Olive Transition into the lacy openings. Easter is at the end of March this year so, it is definitely not too soon to start your Easter cards! Beautiful Jennipher! I love this design!! What a beautiful card, love the design paper and what a beautiful cross.